Happy Friday once more! The weekend has decided to grace us with its presence again. This week I have never been more thankful to see Friday appear than I have this week! What is Murphy’s Military Law? If it will go wrong.. it all happens when your Service Member is gone. In our case, we both had our time when one of us was gone, and everything that could go wrong did. That has been my week. Not just one thing, but way to many to count! So now that Friday is here, I am taking a deep breath, and determined to enjoy the weekend – and gain a little bit of my sanity back. Now, this drink calls to me. Coopers’ and Cola. It is simple, delicious, and there are not a lot of ingredients that you have to mix together. You can find all these ingredients at your local Class Six. The limes you might have to get at the commissary. Sometimes our Class Six will have them, however, they can sell out really fast. In addition to having a easy recipe for this weekend, you need to check out the savings available at your Class Six! This month you can save SIX DOLLARS on Coopers Craft! How awesome is that!? Save money, AND get a fabulous whiskey! There is so much to love here! Happy weekend! 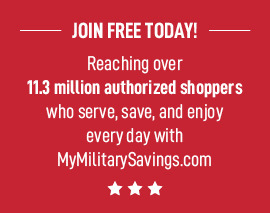 Don’t forget to check out Brown-Forman Military to see even more great deals and recipes! « Salted Caramel Cheesecake Bites!